With the Olympics and London’s population expansion rental property in the areas we cover have become extremely sort after. 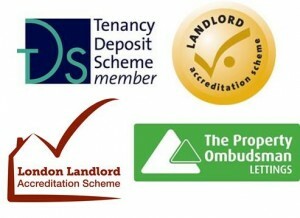 However If you are a Landlord who lets a property then you always run the risk of rent default by your tenant. Even if you have had the best checks and references carried out you can never predict a tenant falling on hard times or losing their job or becoming ill and then not being able to pay the rent. Recovering arrears can be difficult and very costly for landlords without any guarantee of success or recovery. Our Rent Guarantee Insurance will cover you against your tenant defaulting or failing to pay the rent, taking away some of the stress associated with being a landlord. A Rent Guarantee Insurance policy can provide real peace of mind and remember the full cost is tax deductible against your rental income – saving you even more money! We can let properties for 1 to 5 years with insured and guaranteed rents every month regardless if it is occupied or not. This is no longer just applies to council and housing association schemes. We provide this for private tenants too. Firstly all tenants are referenced. Then insurance or scheme allocation. It is a requirement of this insurance that references are taken before the tenants move into the property..
All types of tenants have to be fully referenced by an approved Referencing company. However, for full time employed working tenants a 4 point check will suffice. Confirmation of employment – a written employers’ reference on company letter headed paper confirming the tenant’s permanent and current employment. Depending on the option you have taken and the tenants we have an agreement will be signed with a third party who will guarantee the rent or an insurance taken out to guarantee the rent. Either way all work is done by us leaving you with the peace of mind that your rent will be paid on time. Please contact us for more information.